The WORD AMBIANCE. When Phillipe of Marcel Petite Comte uttered that word in relation to a cheese’s aura, my ears were perched on the ledge, ready to listen to each thoughtful French word that rolled off the tongue. Oh! How I miss France! 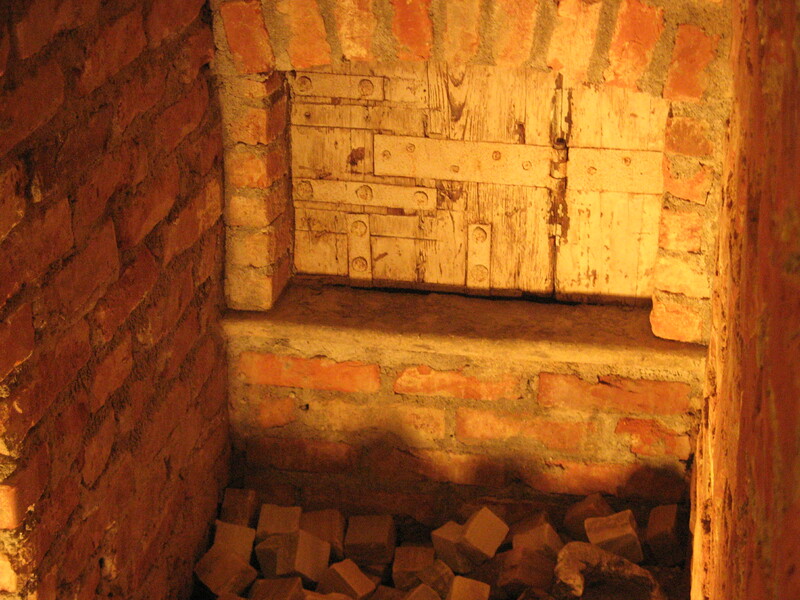 He talked of Luigi Guffanti’s caves and their aging techniques. 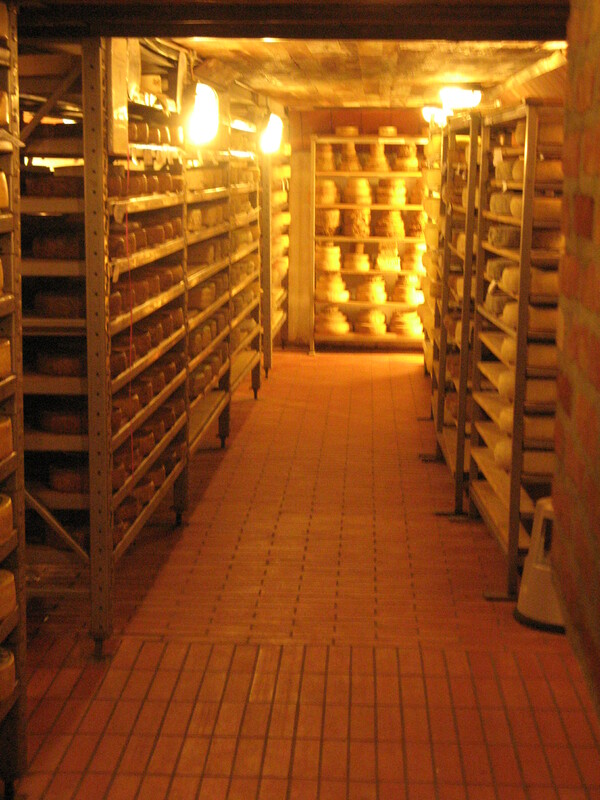 The Guffanti caves are essentially one huge room where certain cheeses are concentrated together and form an aura or “ambiance” around themselves. 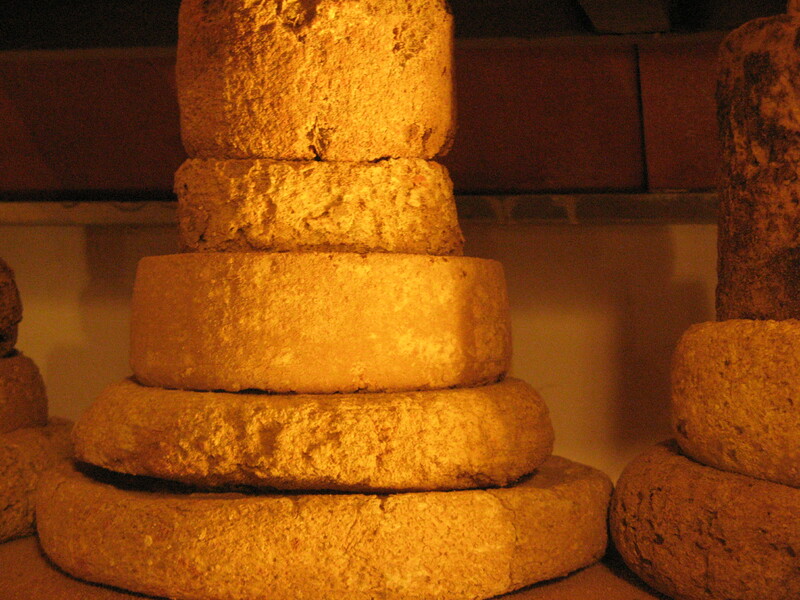 If one were to move one of these cheeses to another parcel of the cave, around different types of cheeses, one could see the rind begin to develop differently, taking on the molds, yeast, and bateria of the aura of another group of cheeses. 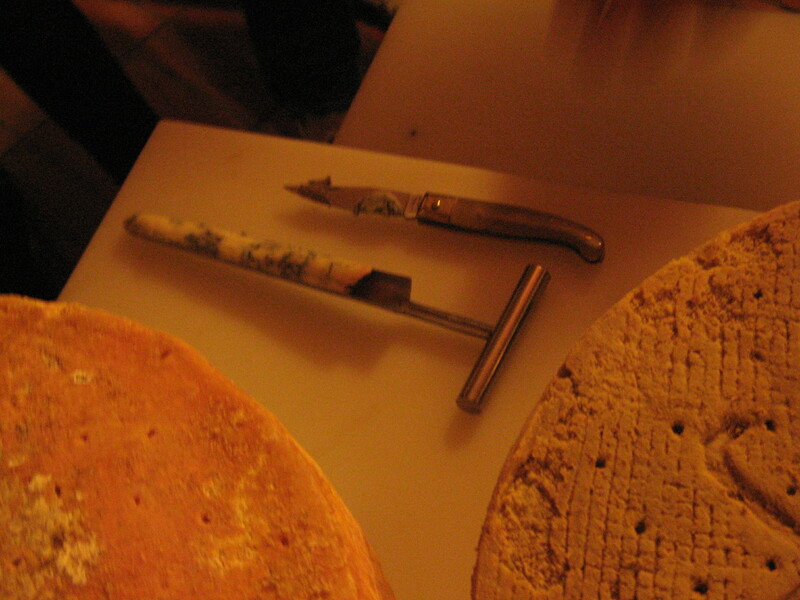 I instantly had flash backs to my time in the caves of Guffanti after the Slow Food Cheese Festival. The Guffanti cave is made mostly of brick, and is built over a stream. All they have to do is lift up one or two bricks to increase the humidity of the space. It struck me as beatiful and simple. A harmonious cheese moment. Phillipe suggested that we keep the Comte wrapped in its paper in the cave. We would see that the rind would keep better, as it would be able to sit in its own ambiance, and the total ambiance of the cave would not affect the rind development. This made me think of a moment during the development of the cheese cave project, when I stormed up to Ihsan with a wheel of Unterwasser that I believed has taken on the ambiance of our cave. This was when I was arguing for a better ventilation system for the caves. Ihsan replied that he thought my point was valid, but that the paste still remained the same flavor. It was only the rind that was affected. I think this is ultimately true…the difference is not completely apparent to the average taster who does not spend time underground with the cheese upon its arrival and through its storage life. Yet I did not know at that time that the solution was to let the wheel sit more within its own aura by protecting it with paper. The more we play around with these difference cheeses, I think we will all come to agree that the cheeses that come to us at a perfect peak/goal, they should thrive as much as possible in their own environment. This is true cheese care. I am excited to see where it goes. How many cheese auras can I read??? Ha ha. Tags: affinage, aging, comte, rind. Bookmark the permalink.